Kedron Lions Netball Club Inc is a not for profit community organisation seeking to enhance the profile of netball and physical activity within the local community. 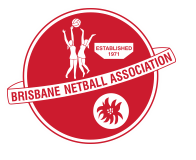 We are associated with the Brisbane Netball Association and are based at Bradbury Park, Chermside. Kedron Lions is a friendly and well supported club which has been associated with netball on Brisbane’s northside for over 25 years. We offer competition for juniors, senior across Summer and Winter Seasons.